Profile: Components are Teega Residence (Tower A and B, 736 units), Teega Suites (Service Apartments, 556 units), Teega Tower office units and Teega Walk retail outlets…standing tall in three, 35-storey towers with 3-storey cabana units. Integrated mixed development of upper mass market zone. Proximity: Puteri Harbour is not a large area, within Puteri Harbour South everything is walkable within 20mins…nicely located nearer to private marina. Teega Suites is a freehold service apartment development, part of Teega @ Puteri Harbour mixed development project in Puteri Harbour of Nusajaya, Johor. There are total of 556 units in this property, comprising a tower of 35-storey service apartment. The units at Teega Suites are ranging from 485 sq.ft. to 1,621 sq.ft. Teega Residences has 2 towers A & B, with 736 units. Teega Residences and Teega Suites are sharing some of the common facilities such as Sky Garden, Air Conditioned Gymnasium, Sky Lounge, Herbs Garden, Children’s Pool, Poolside Barbeque Area, Lap Pool, Barbeque Terrace, Wellness Garden, Children’s Playground, Yoga Deck, Games Room, Tai Chi Deck, Multi-Purpose Function Hall, Leisure Lounge, Tennis court, Badminton court and Grand Lobby Waiting Lounge. While the Pavilion facility is exclusively just for Teega Suites. Both Teega Residences and Suites have their own Sky Deck at its Level 27. Teega @ Puteri Harbour is located just minutes’ drive away to the Sanrio Hello Kitty Town and to the Puteri Harbour’s clubhouse & harbour. 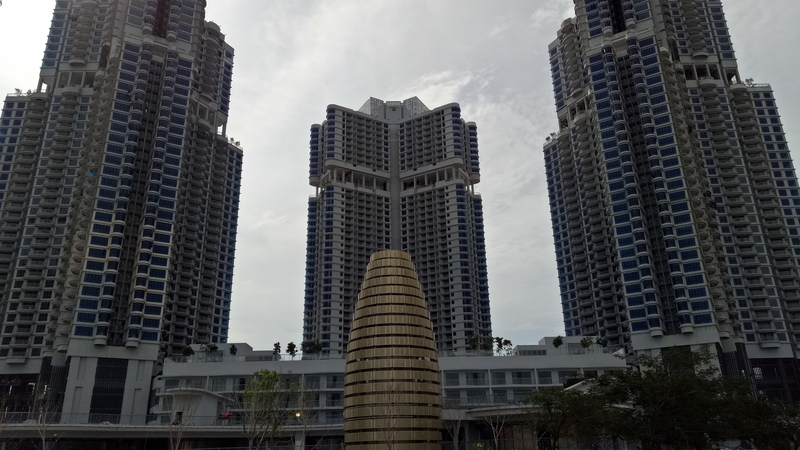 It is approximately 5 minutes’ drive for Teega’s residents to get to the Medini where the Gleneagles Hospital Medini, Legoland Malaysia, Mall of Medini, IOI Medini, etc. are located at. While the EduCity, the city of well-known educational institutions such as University of Reading Malaysia, Newcastle University Medicine Malaysia, Trust Secondary School, etc., situated at are approximately 10 minutes’ drive away from Teega @ Puteri Harbour. Teega @ Puteri Harbour is accessible via Persiaran Laksamana and Lebuh Kota Iskandar. The Sultan Abu Bakar Custom, Immigration & Quarantine (CIQ) complex is around 20 minutes’ drive away from Teega via Second Link Expressway.